For restaurateurs who want to grow their customer base, a consistent, fully operational supply chain is crucial. Fresh ingredients that go into dishes must be constantly replenished and attentive servers must always put diners' comfort and contentment first and foremost. It appears that eateries are hitting all the right notes with America's largest generation: millennials. 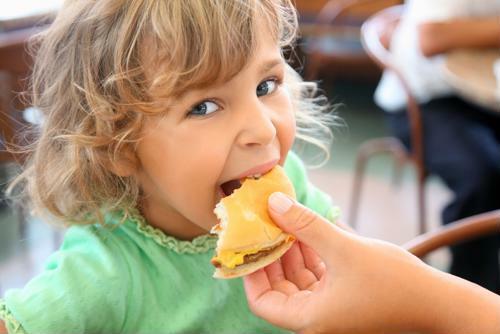 Millennial parents visited dining establishments 5% more often in 2018." In 2018, millennial parents, with their families in tow, frequented the nation's restaurants more regularly than they did during the previous year. Indeed, according to The NRD Group, millennials along with their spouses and children visited dining establishments 5 percent more often in 2018 than in 2017. David Portalatin, NPD food industry advisor and author of the book "Eating Patterns in America," noted that 21- to 36-year-olds represent a major opportunity for the restaurant sector given their numbers. "Millennials are and will continue to be important to the restaurant industry," Portalatin explained. "Not only are they a large generational group but their attitudes about food and eating, which they've taken through life stages, have a tremendous influence on the foodservice industry." For well over 50 years, baby boomers have been the largest generational group in America. That has since changed, according to Census Bureau data reviewed by the Pew Research Center. Approximately 35 percent of the current labor force are composed of 21- to 36-year-olds, which is the equivalent of 56 million men and women. The next largest is Generation X (53 million) and boomers at 41 million. Where do millennial parents take themselves and their kids to for great service and delicious food? Quick service establishments - like Applebee's, Chipotle and Subway - appear to be their cup of tea. Last year alone, millennial families patronized restaurants over 7.3 billion times, based on The NPD Group's calculations. They mainly made these visits for dinner, but restaurant food was on the menu for their morning and midday meals as well, just not as regularly. Millennials aren't the only ones who give eateries two thumbs up. By a 2-to-1 margin, the vast majority of Americans have good things to say about dining establishments, according to a 2016 Gallup poll. Sixty-six percent of respondents viewed this sector positively, compared to just 7 percent negative for a net positive total rating of plus-59, ahead of the computer industry (plus-53). These two industries have trade places for the top spots on Gallup's annual survey for 16 years in a row. How are restaurateurs doing it? It's difficult to pinpoint one thing, although certainly they're performing well in the good-tasting food department, a by-product of supply chain optimization. Technology may be playing a role as well. In an opinion column for Restaurant Dive, Ray Reddy, CEO for the mobile app Ritual, wrote companies that are leveraging mobile technology are tapping into patrons' love affair with convenience. "As I see it, the best route to sustainability … will be a hybrid model that balances a smaller number of walk-in customers with the bulk of revenues coming from online delivery services and mobile apps that let others order ahead," Reddy said.